Anyone thought of Apple turning to the play ground. With the tech giant busy in launching gadgets as well as updates on its most successful products, who thought Apple might bring in something for the gaming industry. 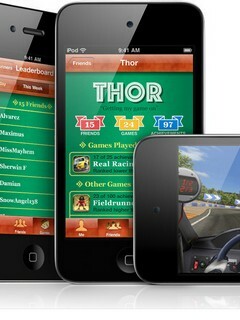 Apple made a giant leap as it unveiled the new online social gaming service on Wednesday. Just like Apple Store, the gadget maker launched its next successful baby called the Apple Game Center. Game Center is basically designed to make multi-player gaming easier over Apple’s network. According to company officials the Game Center Application lets you and your friends in on the action. Invite gamers who you know or go up against any player available online. While keeping you connect with other players, the Game Center keeps track of the achievements which the user has earned which is followed up by the gamers ranking on the leaders board. Ranking and Achievement are later compared with those of your friends and updates are regularly displayed. A variety of games are present online with games that range from free to $5.00. Download and purchase games which you can follow with connect to the game application to get ready for the battle.